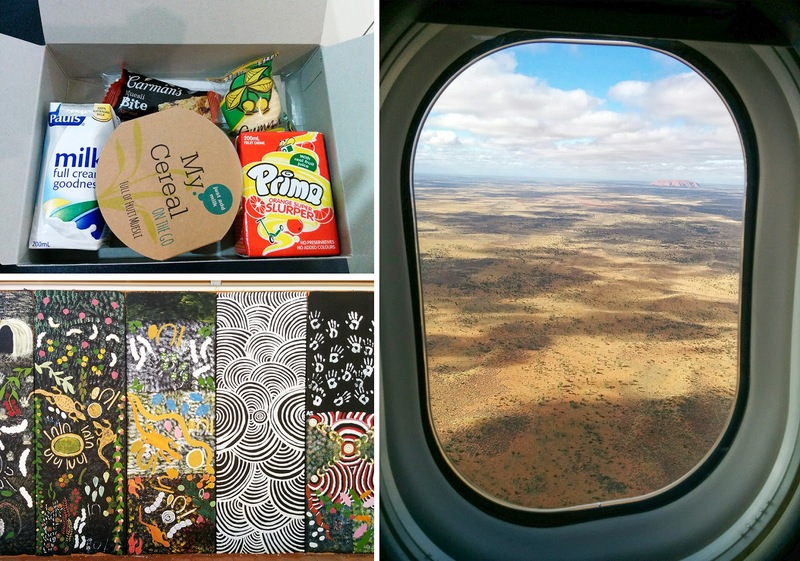 Our adventure in the Australian outback started with an early flight from Cairns to Ayers Rock. We had a package breakfast at the airport as we usually did whenever we had to leave at the crack of dawn. It may sound silly but it became a little thing with a big meaning. We won't forget those carton boxes full of goodies! 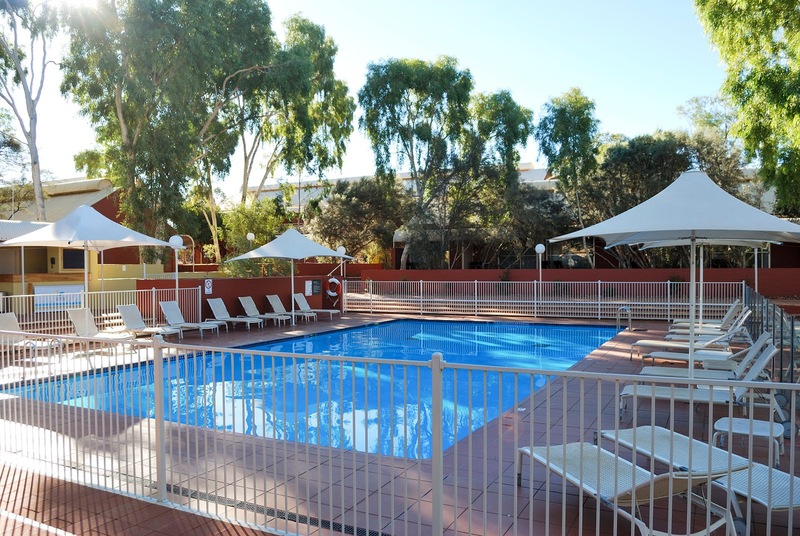 When we got to Ayers Rock airport a bus (there are free shuttle buses for all flights) took us to our hotel: Desert Gardens. Can you spot Uluru through the window of the plane? 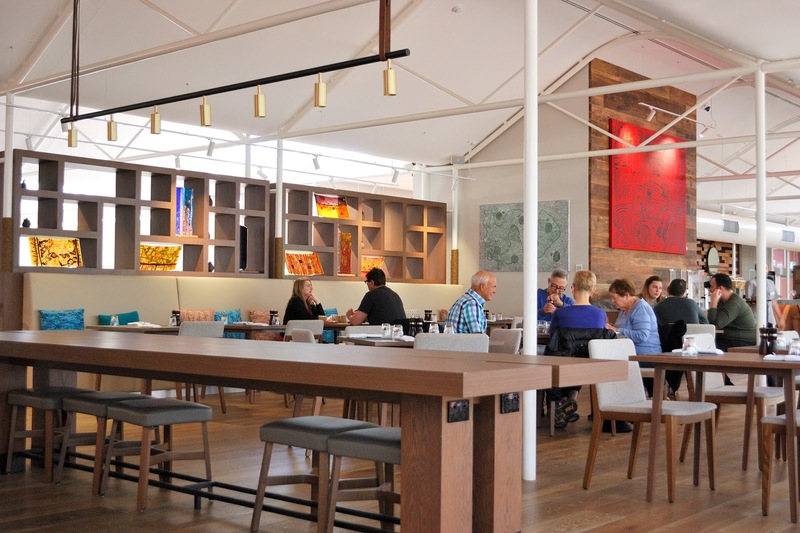 After unpacking we had lunch at the Mangata Bristro which was in our hotel. We hadn't chosen any of our accommodation before the trip but most of the places where we stayed were really good. Desert Gardens was our favorite from the whole trip. Next, we explored the surroundings. 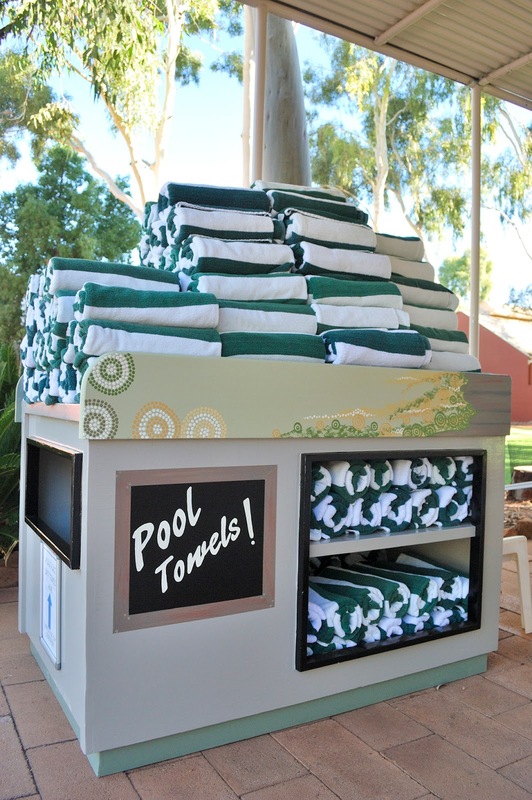 Desert Gardens is located in a service village called Yulara. Lying just outside the Uluru-Kata Tjuta National Park (20km from Uluru and 53km from Kata Tjuta) this is the closest base for exploring the park so that's where most tourists stay. We checked out the other hotels, the town square and went as far as Imalung, a vantage point from which you can see Uluru. When the sun started to set we went back to the hotel. We had to get a good rest because we had another early wake up call the following day. It was still dark outside when the SEIT van picked us up. SEIT is the tour company that was taking us to see the national park. 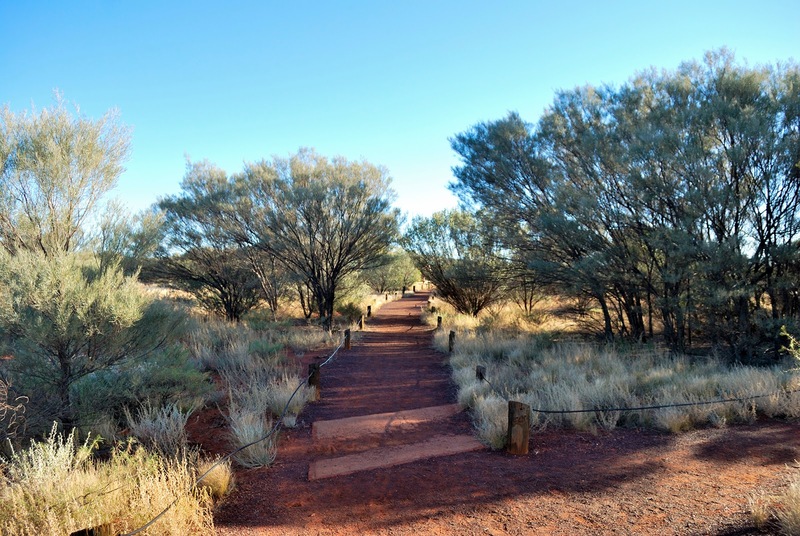 The tour was divided in two parts: first Kata-Tjuta and later in the day Uluru. First of all, we saw the sun rise next to Uluru from a viewpoint, at -1ºC we were freezing but the spectacular views made it worthwhile. 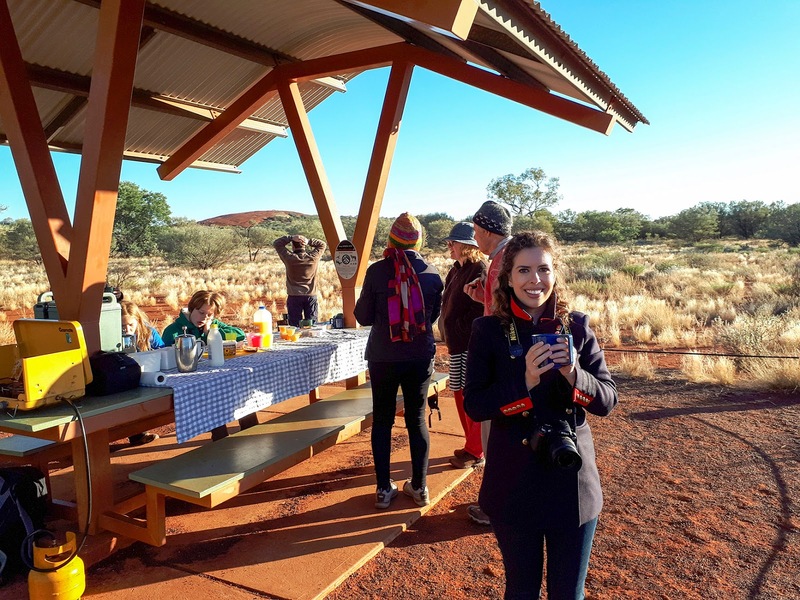 Then, they had arranged an amazing picnic breakfast before starting to explore the Kata-Tjuta. Those warm drinks and toast with butter were a blessing! Kata Tjuta (which means 'many heads') is a striking group of domed rocks with deep valley and steep-sided gorges in between. It may be less known than Uluru but we found it even more impressive. This large sandstone rock changes color during the day, depending on how the sun shines on it. Sometimes it looks brown. At dawn and at dusk, it looks red. 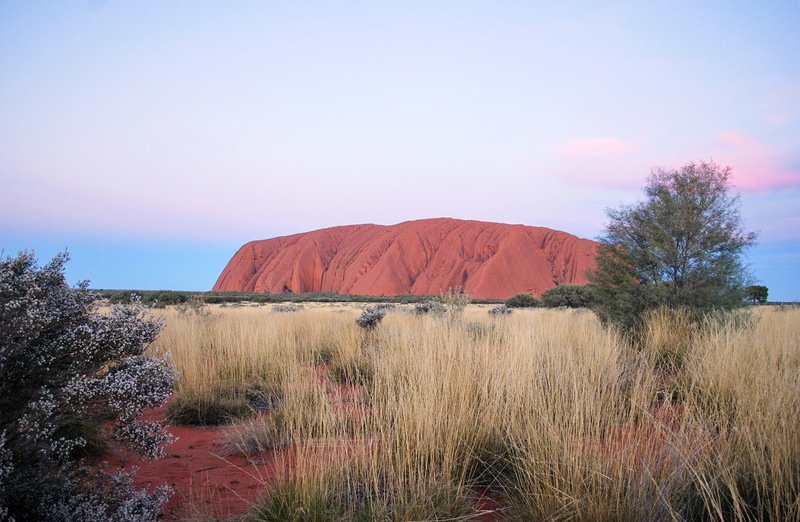 The Aborigines consider Uluru a sacred place. People are not allowed to climb it. There are even some areas where you can't take photos. 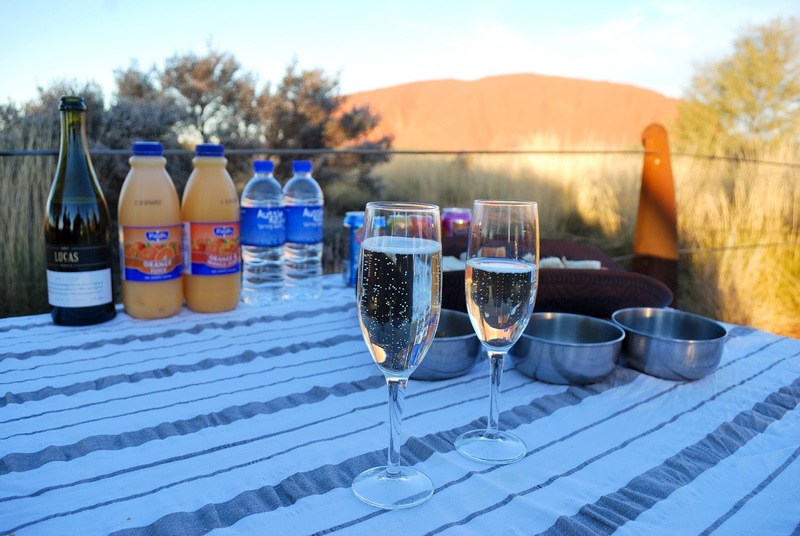 Our day ended in the best possible way: with a glass of champagne, watching the sun set and the different colors of the magnificent Uluru. The tour guide took us back before it was completely dark, I wish we had been able to stay longer because this is one of the best places to star gaze in the world. Temperature varies a lot during the day. We were there in August and the minimum was -1ºC and maximum was 18ºC so it's important to wear layers. Carry a bottle of water and wear sunscreen no matter the time of the year. Wear dark sneakers because of the terracotta colored soil. It's easy to clean though. Buses: apart from the free airport buses, there's a free shuttle bus that loops through the resort, it stops at all accommodation points and the shopping centre every 15 minutes. Town Square at Yulara: here you'll find many services like supermarket, bank, post office, souvenir shops, restaurants... It's a great place to hang out because there are some activities taking place during the day. We got to see a local playing didgeridoo which was so cool! 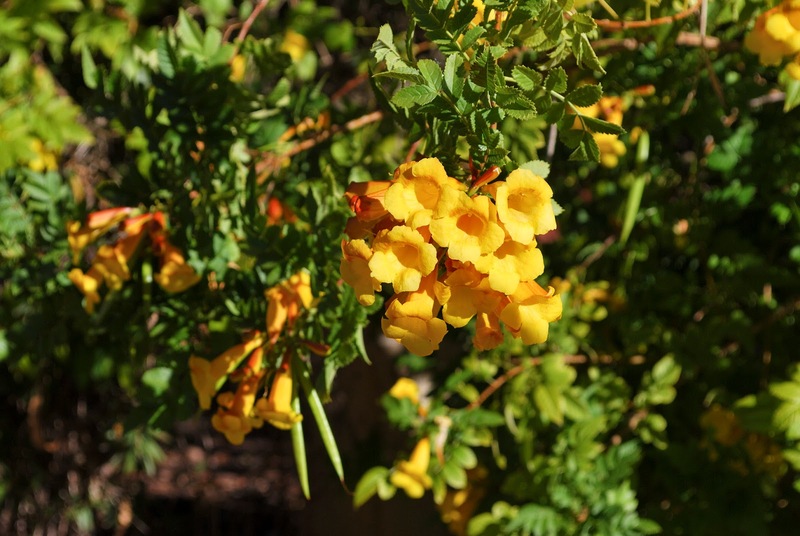 Our favorite shop was Mulgara Gallery where you can find a wide range of quality, handmade Australian arts and crafts such as textiles, paintings and crafty Indigenous knick-knacks. This is the place where I got my Aboriginal art scarf. There are so many flies at Uluru! They even sell postcards with jokes about it. You have to be careful not to let them in your hotel room because they are like bungalows at ground level so bugs easily get in. I even saw one on our flight to Sydney. That looks amazing! 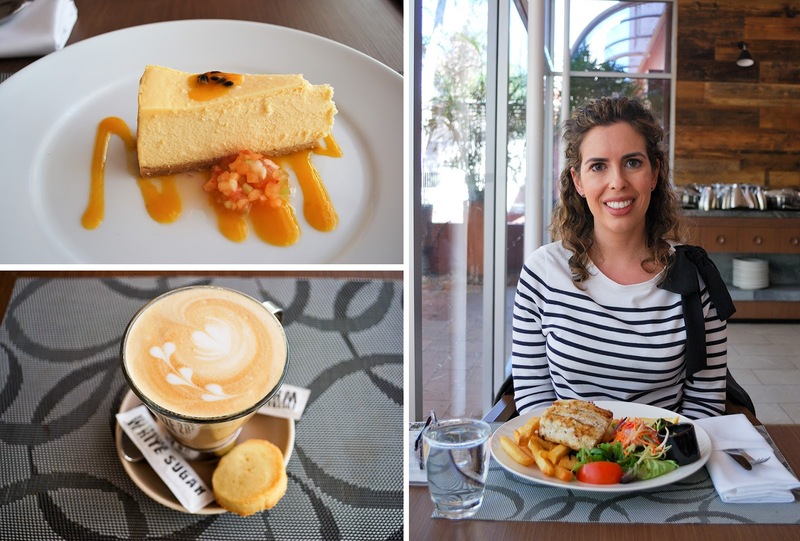 (Both the food and the views!) We’d love for you to join our link up today! I haven't been to Uluru even though I lived in Australia for 2 year. Looks like you have a great adventure down under... Cheers from NYC. Wow, what an amazing place! You look so happy too, love the photos! 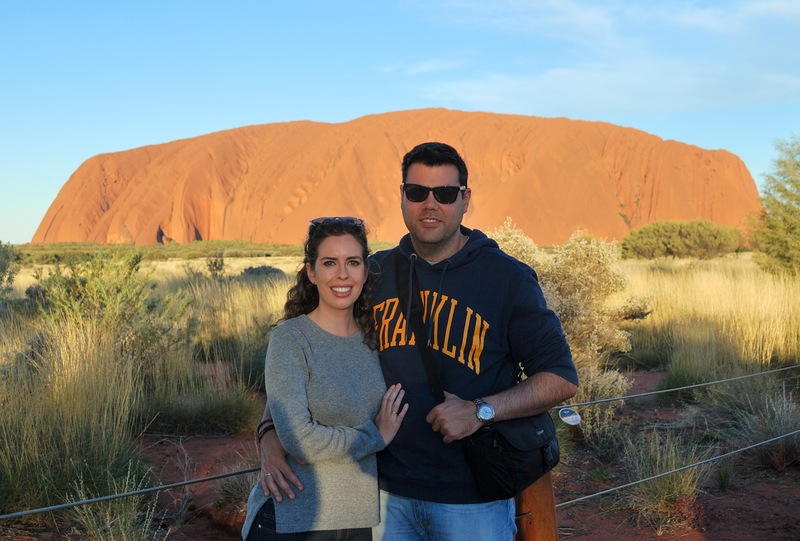 I have never been to Uluru but wow, such a beautiful place and an amazing getaway. 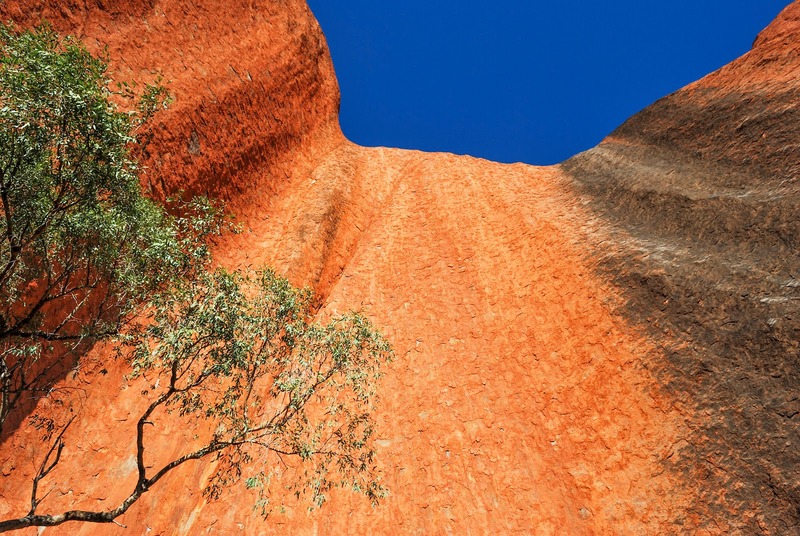 When the sun hits it just right, what a beauty to behold - the rich red orange color of Uluru. Amazing photos! These photos are gorgeous! Australia looks and sounds amazing! This looks like such a fun trip. Australia is number 1 on my bucket list! Great images too! This are amazing pictures. Australia looks beautiful and it looks and sounds like you both had a fun time! Amazing trip. Australia is on my bucket list it is so beautiful there. Love all your photos you took, looks like you had a fabulous time. So beautiful! I visited Uluru many years ago on a school camp... now I feel nostalgic, and old! Haha. I'd love to go back. This really looks like an amazing trip. I've heard amazing things about Australia. This looks really fun. This place is actually on my bucket list. Wow! This looks like it was amazing experience. So beautiful. 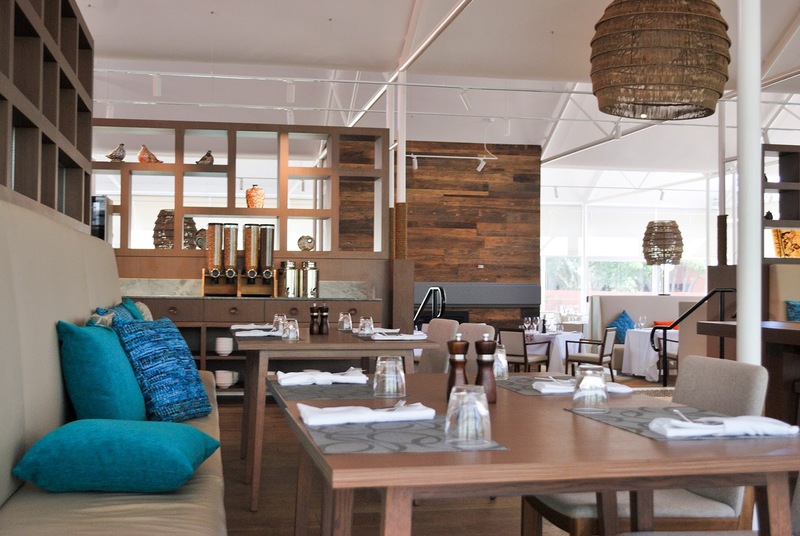 I so loved reading about your trip and viewing your photos! I would love to make the trip one day in the future. I hope you can, Jennie. Uluru is amazing! This trip looks like it was so wonderful! Australia is honestly one of the places I want to go to so bad. Thanks for sharing!